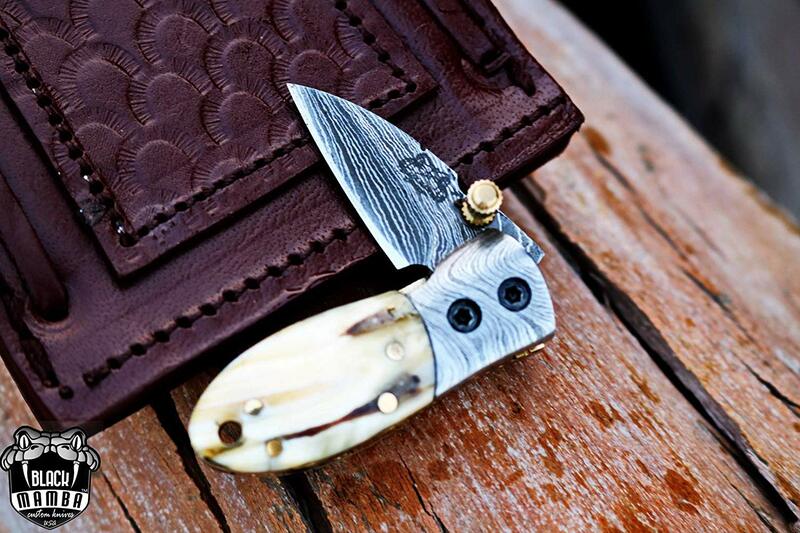 BMK-415 Tsetse Fly 3″ Long 1.2″Blade” 2oz Damascus Neck Knives Handmade Damascus Pocket Folding Knife With Mammoth Tooth Handle Black Mamba Hand Made Word Class Knives – 352 Layer (1095/15N20) Steel Blade Oil Tempered to 58-60 HRC MEASUREMENTS : 3″ Long 1.2″Blade” 2oz HANDLE MATERIALS: Mammoth Handle with damascus bolster Sheath: Knife Comes with a fine sheath made from , cow Skin Pattern: Wind & Mix twist Fire pattern Damascus Blade, Extreme custom Brass File-work Blade Layers & Hardness: Over 352 Layers, 15N20 & 1095 Damascus Mixture of steel and high Carbon Steel and HRC approximately 58 to 60. 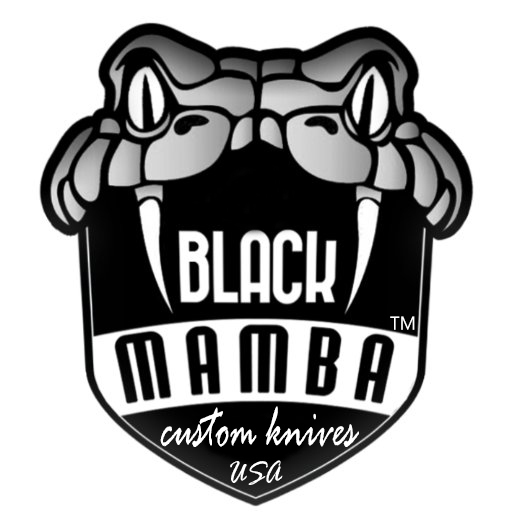 The knife blade is 100% hand forged and is the results of hours of work. The Damascus steel used for this knife was created by forge welding multiple layers of 15N20 & 1095 steel into a solid billet. Feedback, Disclaimer & Age Restrictions: Request to all the buyers, we strive for positive Feedback on all transactions. Your satisfaction is very important to us, if you experience a problem of any kind with your purchase please contact us first before leaving any feedback or opening any claims, any issues will be resolved more efficiently if you contact us first and deal directly with us. We do stand behind our products and will do anything in our power to make sure that you feel satisfied with your purchase. If you are not happy with your purchase, quality, DOA items. PLEASE email us , We would be more than happy to replace the item or full refund. Thank you for the cooperation. When you bid or buy this knife you are confirming that you are an adult and doing a legal purchase. we takes no responsibility for any illegal purchase. We do not sell knives to anyone who is under age 18. Great quality, my husband loved it! However the note I wrote out for him to read when he opened it wasn’t placed in the box. I was pretty disappointed about that.